The China Britain Film Festival opened Monday in the city of Langfang in north China's Hebei Province. This time, it's the UK's time to shine, with British films getting top billing. 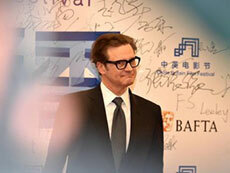 British actor Colin Firth also made an appearance on the red carpet. Filmmakers and stars from both China and the UK walked the red carpet at the opening ceremony. They included Chinese actress Yang Mi and director Zhang Yibai. But the biggest star of the night was British actor Colin Firth. The Oscar-winning actor was later honored with a lifetime achievement award for his contributions to bridging the two countries' cultures. 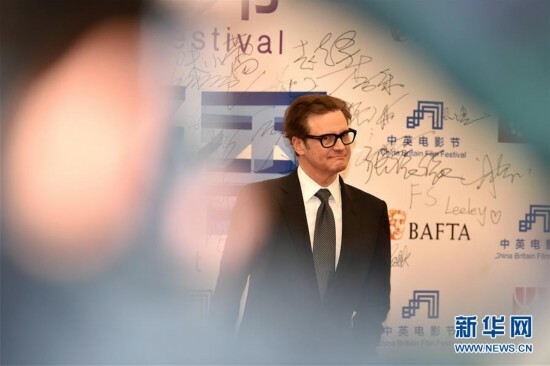 13 British films will be on screen for over a month in multiple cities across China, with Colin Firth's latest work "Genius" as the headliner. "Genius" is based on the biography of the great early 20th centurybook editor Max Perkins. British filmmakers are eyeing the lucrative market in China, with hopes of boosting the development of the country's movie industry. Amanda Berry, president of the British Academy of Film and Television Arts (BAFTA), attended the opening ceremony. She sees more opportunities here in China. "Every time I come to China, I can see the relationship between the two countries' film industries are growing. There are a number of Chinese TV programs developing in the UK, and British TV programs are being filmed here too, which is very exciting. And more and more British films are screened in China, British film producers are also looking ways to work with Chinese film makers..." Amanda Berry said. This event followed the festival's previous session in London this past June, when it was China's turn to showcase a catalogue of its diverse films.